Given continued consolidation and financial solvency pressures in healthcare, optimizing revenue cycle operations continues to be a key priority for healthcare systems. However, CFOs and revenue cycle executives have a wide array of approaches they can pursue. “The Revenue Cycle Management (RCM) market has not evolved to meet the needs of the market and has put providers on the hook for getting the right outcome from fragmented solutions,” says Joe Flanagan, President and CEO, R1 RCM. Knowing that healthcare organizations needed better approaches, Flanagan and his team harnessed the collective company experience and technology into the transformation of R1 RCM [OTCMKTS:ACHI]—to serve as the one revenue cycle management partner for healthcare providers regardless of their payment models, partner engagement structures, or care settings. 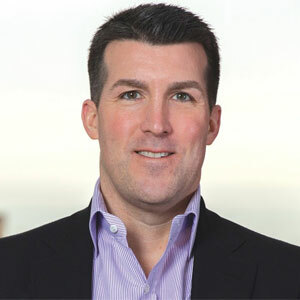 Since joining R1 in 2013, Flanagan has focused primarily on building a holistic operating system called the R1 Performance Stack that can be used to deliver the right outcomes for customers, enhancing their revenue cycle performance. “We take control and accountability of the revenue cycle. Our R1 Performance Stack helps healthcare providers build a stronger commercial infrastructure,” says Flanagan. Since its inception in 2003, the company has been challenging the standard practice of cobbling together technology point solutions to manage the revenue cycle. R1 has built an integrated, proprietary technology solution to effectively enable end to end management of the revenue cycle. “Our technology sits atop EMR systems pulling in data feeds from the host system and our workflow layer is purpose built to get the best outcomes from the revenue cycle. Being EMR agnostic, we interface with major EMR systems, helping standardize the process and the workflow,” says Flanagan. With this technology approach enabling the R1 Performance Stack, R1 ensures significant improvement in clients’ economics and boosts patient experience and client revenue predictability as payment models shift. Highlighting the functioning of R1 Performance Stack and its proficiency in the revenue management space, Flanagan recalls an instance of working with a customer on the East Coast. The firm performed a baseline assessment of the customer’s adherence to the stack, which turned out to be at 50 percent. “Working in partnership with us, in the course of 12 months, the progression was from 50s to upper 90s and the client also witnessed improved adherence that translated to financial outcomes,” explains Flanagan. In fact, a typical $3 billion health system can expect $100 million income statement and $125 million working capital improvement over 3 years working with R1, based on the company’s experience and track record. To deliver value, R1 utilizes years of experience in end to end management to help customers transform their revenue cycle operations. “We’ve been doing this longer than anyone else out there and we know how to bring a thoughtful and flexible approach to our engagements to meet our customers where they are,” says Flanagan. “While our proprietary technology is core to our offering, we are equally as comfortable delivering value by co-managing and embedding ourselves in our customers’ organizations as we are directly operating their revenue cycle.” R1’s broad practical experience has told them a flexible, customized approach is the best way to deliver outcomes given customer situational differences. As the fine line between financial and clinical goals blurs, healthcare providers need to work on the effectiveness of their revenue cycle operations no matter how the future evolves. This is where R1 offers the most value—encapsulating proprietary technologies, experienced talent, proven processes, analytics, accountability, and assured standardization into a singular umbrella. End to end revenue cycle management for hospitals and health systems.